Artists: Where are they now? We have another exciting update on what a former Artist-in-Residence is up to! When an artist concludes their time with us, they’re not just leaving a legacy here at the Museum. They continue on to wonderful new art opportunities all around the world! Nicole Banowetz, our 2016 spring artist, is doing exactly that. During her residency, her giant, 3-D inflatable art wowed and inspired artists of every age. She graduated from CSU in 2004 with a BFA in sculpture. She has worked internationally, creating mosaic work in India and working and showing in Italy, Ireland, Russia, Germany and England. Now, the Netherlands can be added to that list! Nicole was one of the coveted artists selected for the 2016 Amsterdam Light Festival. This annual light art festival brings designers from all over the work to display their art on the picturesque streets of Amsterdam in a unique, interactive light-art experience. Each route or “walking trail” has it’s own theme, and Nicole’s selected theme is called Rotifers. According to her festival feature page, Rotifers is a “microscopic view” of the circle of life and nature as a whole. Here are some of the works in progress of these cool critters! Nicole Banowetz’ work is on the Illuminade route in Amsterdam from December 15th, 2016 to January 8th, 2017. We can’t wait to see amazing photos of this international artist’s newest finished works. After all, it makes knowing that we have a piece of hers in our very own Museum even more special. 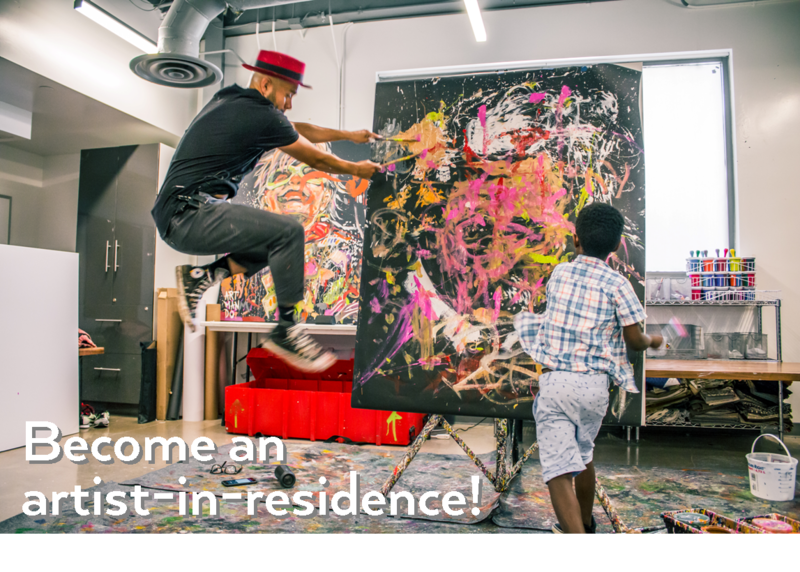 Want to be an Artist-in-Residence?